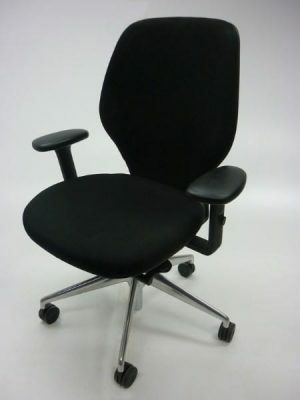 The Orangebox Ara operator chairs, designed by Gerard Taylor, are not only ergonomic, but also environmentally friendly. Designed to be 98% recyclable, the chair is the the first in Europe to achieve ‘Cradle to Cradle’ status, due to its components being non-toxic and recyclable. The flexibility of the unique black elastomer membrane, supported by the rigid black frame, adjusts automatically to the profile of the user’s back, giving maximum comfort and breathability. Whilst the synchronous mechanism delivers a smooth movement. If you would like more information, please get in touch with our sales team on 07944 508282 or use the Telephone Icon at the bottom right hand side of your screen.